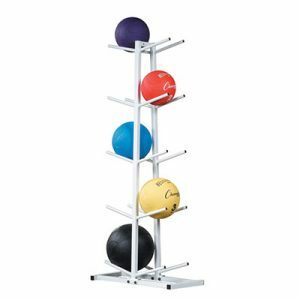 The Champion Sports Fitness Ball Storage Rack is a strong and sturdy rack. 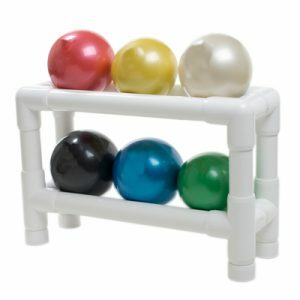 It is constructed with schedule 90 pvc pipe for added durability. 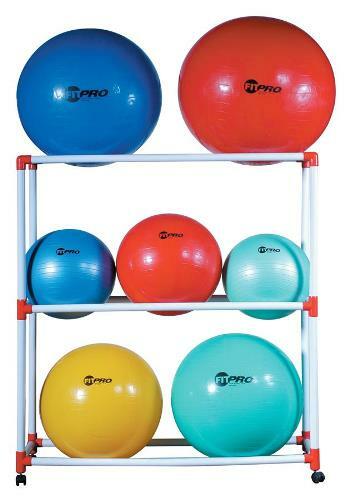 Holds up to 9 large exercise balls for convenient access and storage. 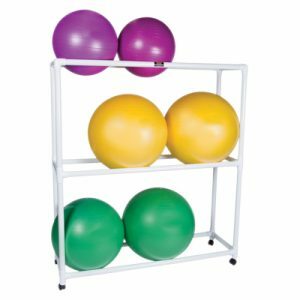 Comes with 4 heavy duty swivel casters for easy mobility. 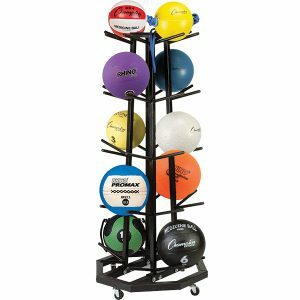 The champio Sorts gym ball cart measures 62″ L x 67″ H x 19″ D. Some assembly required. Balls not included.